The time comes with every ventilation system where simple maintenance just won’t do anymore. If your systems are not performing as they should, or are causing problems for the air quality in your home, then your system’s time may have finally come. If this is the case then you need a trusted company who can diagnose your problem for you and repair or replace the concerned parts. 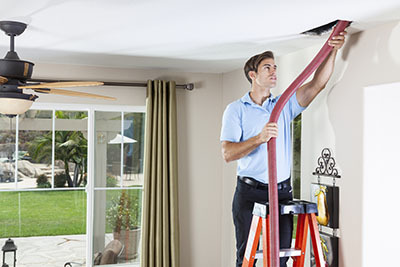 “Air Duct Cleaning in Campbell” is here for you. Give us a call and find out more about our services today! We promise you will not be disappointed. 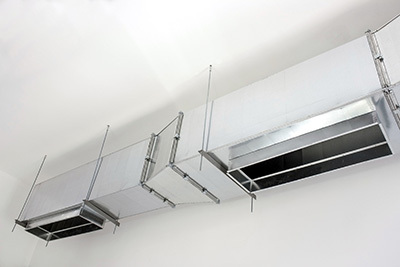 If you are in desperate need of air duct replacement to keep your ventilation systems running smoothly then look no further. Our team of highly skilled technicians will be there on the double to help you out in any way they can. We boast the finest quality services at excellent prices to make sure that such a problem won’t set you back. Are you wondering whether or not to replace your system’s air duct filter? A faulty filter can cause further damages to your ventilation systems as they over compensate for the blockages caused by collections of dirt, dust and mold. A faulty filter can also lead to serious health issues when people breathe in spores of mold or dust. These impurities can have some nasty side effects for those who are prone to breathing problems. Our company offers air quality testing services to help determine if you and your family are likely to suffer the ill effects caused by contaminants in the air being circulated by a faulty system. This will help you determine if anything in your system needs replacing, or just a simple service to get it back on track. If your parts do not need immediate replacing, we also offer routine air duct cleaning services to ensure the healthy and efficient use of your ventilation systems. There’s no point in taking the risk of leaving the problem to get worse, because it will get worse, even if it goes unnoticed by the inhabitants of your home. A good clean, if that is all that is necessary, is a far more economic answer to poorly performing systems. Our technicians will give you an honest and transparent appraisal of your system’s needs, so that you only have to spend money where it is needed. So there is no point in delaying and waiting for the problem to get worse. No matter what your ventilation system’s maintenance needs are, we will be happy to oblige. So give us a call or take a look at our website for more information on our services. We at Air Duct Cleaning in Campbell are waiting for your call!